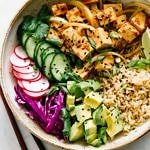 Let’s make Hawaiian tofu poke bowls together! 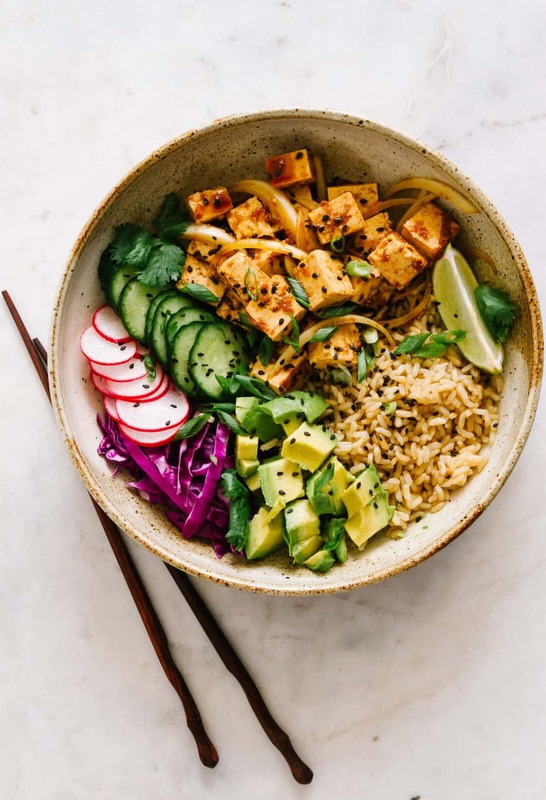 I’m in love with this vegan poke bowl recipe, it’s quick, easy and completely addicting! 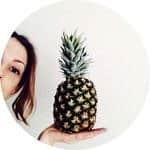 As you probably know, poke is traditionally made with tuna or some kind of fish, but we’ll be using cubed organic tofu, which soaks up the sesame-ginger marinade and has a tender mouth feel. It’s healthy, filling and tastes great! 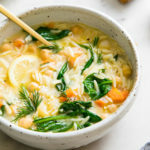 Perfect for lunch, dinner or make ahead meals (they’re great for weekly meal prep), and can be whipped up in as little as 20 minutes. We’ll start with gently pressing the tofu, using firm or extra-firm tofu. To do this, drain tofu, place it on its side, and cut lengthwise down the center. 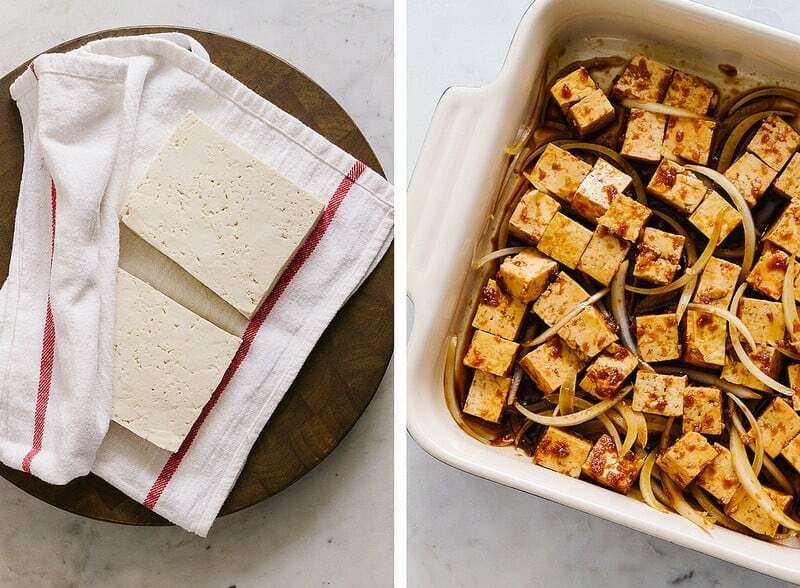 Place the 2 tofu slabs, flat, in between a clean dish towel, or paper towels, and gently press to soak up any moisture. Next, in a shallow dish or bowl, whisk together the tamari, rice vinegar, sambal oelek, sesame oil, garlic, and ginger. To grate the garlic and ginger, I used a microplane, but mincing works well too. Add the cubed tofu and sliced onions to the marinade, gently toss to coat and let set for 10 minutes, stirring once or twice. 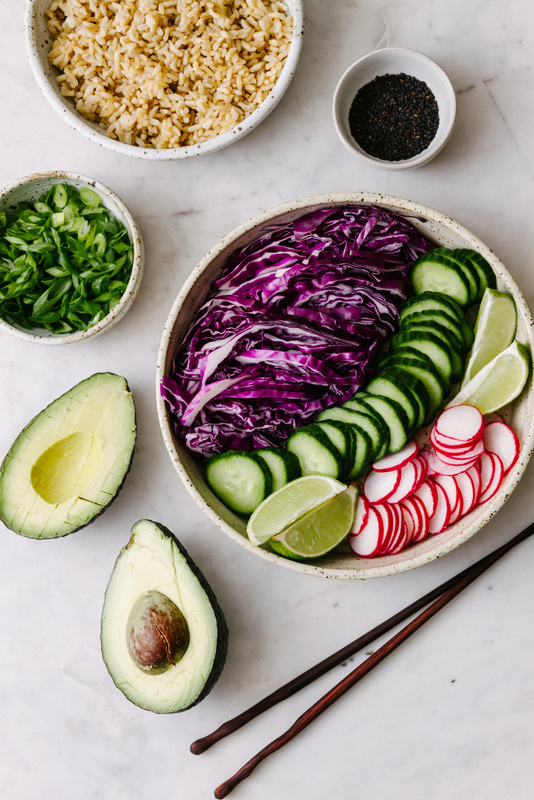 While the tofu poke is marinating, prep the cabbage, cucumber, radishes, scallions, avocado and lime wedges. For the grain, use cooked brown or black rice, quinoa is great too. To make things really easy, use pre-cooked rice or rice & quinoa blends in packets, as they heat up in under 2 minutes. 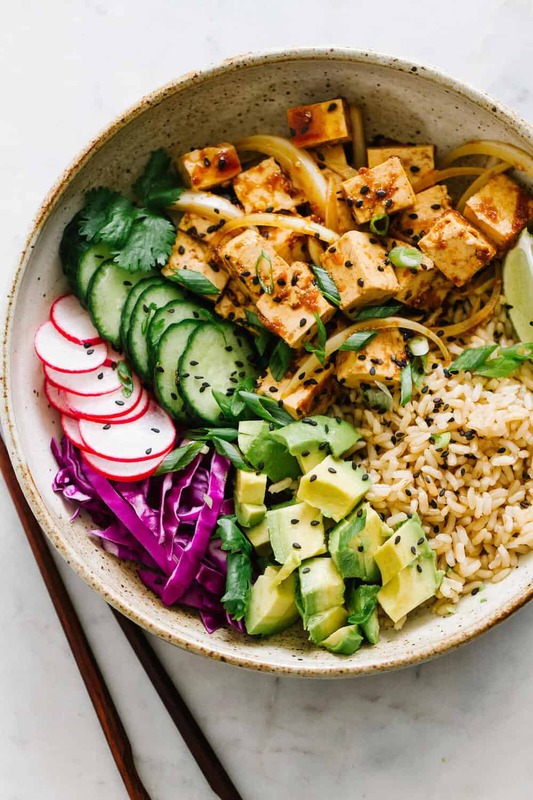 Assemble your tofu poke bowl and enjoy all the deliciousness of this simple, savory meal! Tofu is extremely versatile and can be used in a variety of ways. 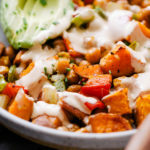 Here are a few great tofu recipes to try, you may just find a new favorite! Tofu marinated in a sesame-ginger sauce with fresh veggies and grain of choice. 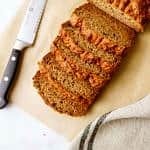 Perfect for lunch, dinner or make ahead meals, and can be whipped up in as little as 20 minutes. Marinade adapted from Anne Burrell of Food Network. Drain the tofu and place it on its side, cut in half down the long side. Place on a clean dish cloth or between paper towels and gently press to soak up some of the moisture. Dice the tofu into 1/2 inch cubes. In a medium bowl or shallow dish, combine the soy sauce, sambal, sesame oil, garlic, ginger and sweet onions. Toss in the tofu and let rest in for 10 minutes. Prep the remaining ingredients and assemble your bowls.